Do you like creamy coffee or tea? Do you like the creamy, latte hot drinks? Try this two DXN products anytime hot or cold and enjoy the summer ! – DXN reserves the right to changes the terms and conditions without any prior consent and notice. – All sales are final with no return/exchanges. – One promotion per distributor, cannot combine with any other promotions. – Promotion valid while supplies last. DXN White Coffee Zhino is topped with a light layer of creamer foam and formulated together with ganoderma extract. The best thing about drinking a cup of DXN White Coffee Zhino is having the dense and creamy yet light and airy taste, and feeling your mouth at the same time. To satisfy the cravings of cappuccino lovers, DXN has now come up with a new product which can be easily and quickly prepared. 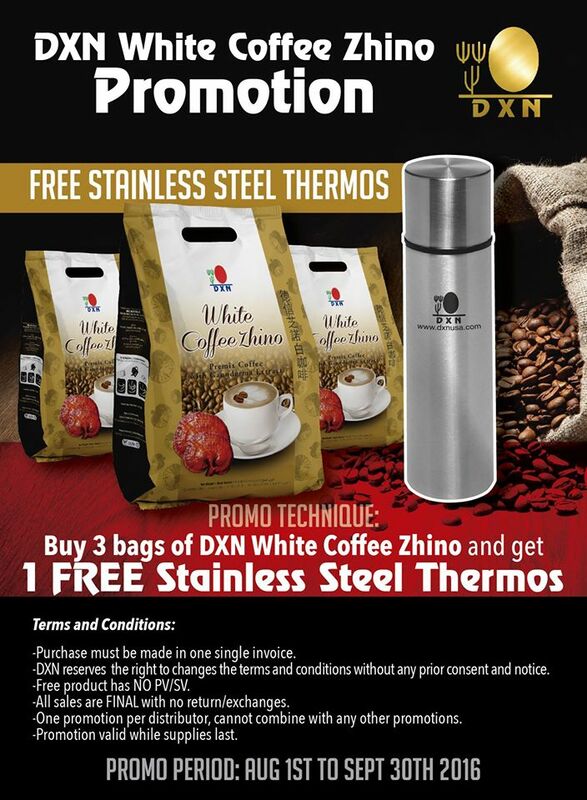 You simply have to add a sachet of DXN White Coffee Zhino into a cup of hot water, mix it together and you are then free to enjoy it with your family at home or with friends in the office without having to wait for a long time at a coffee house.The best thing about drinking a cup of DXN White Coffee Zhino is having the dense and creamy yet light and airy taste and feeling in your mouth at the same time.The inviting aroma of this instant cappuccino indirectly evokes a feeling of joy after you drink it. Do not miss the opportunity to try it! Distributor price: US$ 20.00 ——> How to join for distributor price? DXN Lingzhi Tea Latte is a premixed of premium tea powder with non dairy creamer and ganoderma extract. This combinantion gives strong and less bitter taste of tea, which was enhanced with the addition of the delicious creamer. 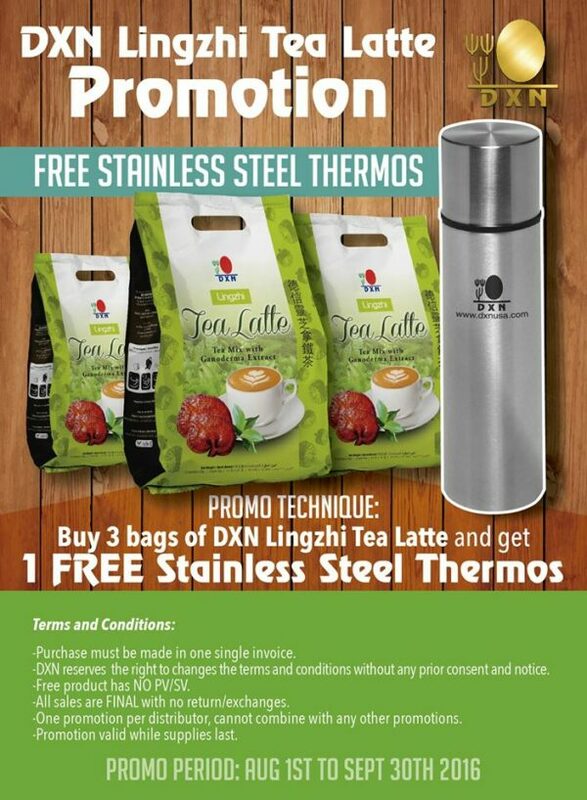 To provide opportunities for tea lovers to experience the uniqueness of tea latte, DXN has introduced DXN Lingzhi Tea Latte. It is conveniently packed in sachets for a smooth and satisfying drink, loved by everyone from all walks of life especially those who are always on the go. With a delightful distinctive aroma, you will definitely feel more energetic to start the day. Try it now and experience the difference!